I intentionally left off the part of this book's blurb that compares it to The Fault in Our Stars and Eleanor and Park. Because no. It's honestly not really similar to either and the comparison of EVERY YA BOOK EVER to those two books really gets on my nerves. In this case, yes, it is a cancer book. But John Green does not own cancer stories. Lurlene McDaniel had that going long before he did. And the similarities between the two stop and teens and cancer, so for the love of Mike, let's stop trying to make everything John Green or Rainbow Rowell and just let it be its own thing. /rant. I think things started off well, but it was like the character development stalled in the middle. I didn't hate Mia as much at the end as I did at the beginning, but I also didn't feel like I got to see her grow as a character. She was bitter and angry, time passes and she's less bitter and angry, but we don't really see how or why that happens. Zac is a fairly standard character, likable, but not remarkable in any real way. It wasn't that it was bad, but based on the opening pages I think it could have been better. I thoroughly enjoyed the reading experience. 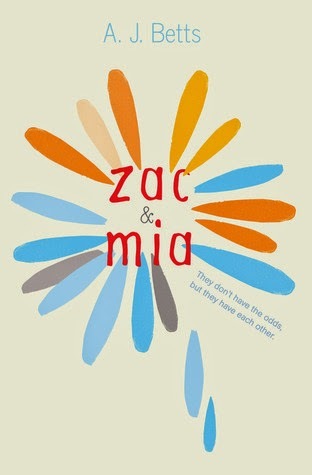 Because I felt the character development was somewhat lacking, I didn't get a real emotional connection to Zac or Mia, but I enjoyed finding out where their story went. 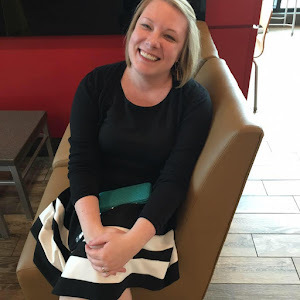 I particularly enjoyed reading a YA book with a family that is deeply involved with each other and parents who are on top of things/not the bad guy. Mia's family situation was more difficult, but I loved Zac's relationship with his parents and his sister. I'd recommend it to someone looking for just a general YA contemporary that isn't focused on romance as much as it is on friendship and contains more emotional depth than the typical romcom. It's not spectacular or life-changing, but I don't regret having read it and I think it will appeal to readers of YA contemporary fiction that tugs at the heartstrings.